Browse our collection of 2 Donut Socks and more. Designed and printed in the USA. 100% Satisfaction Guaranteed. About this Design Show off your sense of humor with these donut , food humor, anti-fitness, workout humor socks! Let the world know you'd rather be eating donuts than going to the gym! 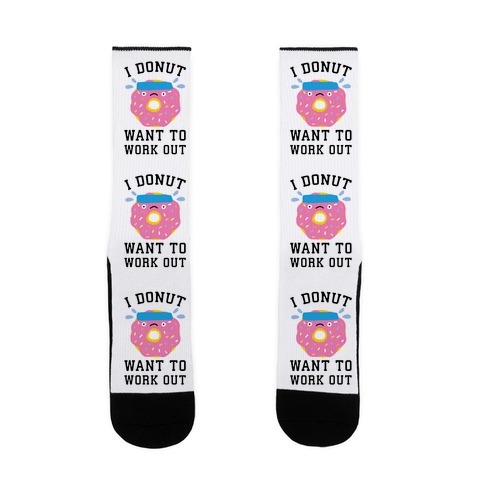 Show off your sense of humor with these donut , food humor, anti-fitness, workout humor socks! Let the world know you'd rather be eating donuts than going to the gym!